Once you’ve seen the giant sequoias, giant redwoods, giant waterfalls, and the giant granite rock called Half Dome, their immensity is forever etched in your brain. 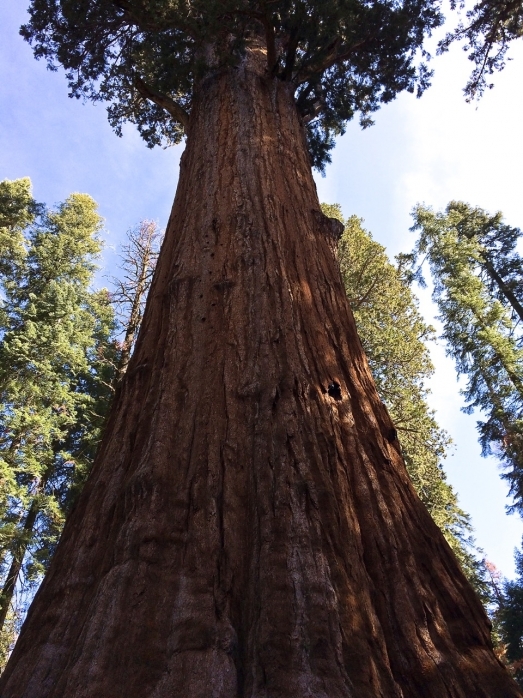 In Sequoia National Park stands General Sherman, the world’s largest tree. It’s about 2500 years old. In King’s Canyon National Park, the General Grant sequoia may not be quite as large as Sherman, but it’s known as the United States Christmas tree. Imagine trimming it! Farther north in the Sierra Nevada mountains is Yosemite, the home of Half Dome. You look at it and wonder how on earth anyone could climb its 5000-foot sheer granite face. Or want to. After you visit all three of these national treasures, “giant” has new meaning for you.